Jeffrey Stein Sales - Ford Capri Zakspeed Turbo "Sachs Sporting #52"
The Ford Capri Zakspeed Turbo turned out to be an all-round success. Particularly in the 70s and 80s it was seen on racetracks all over the world. 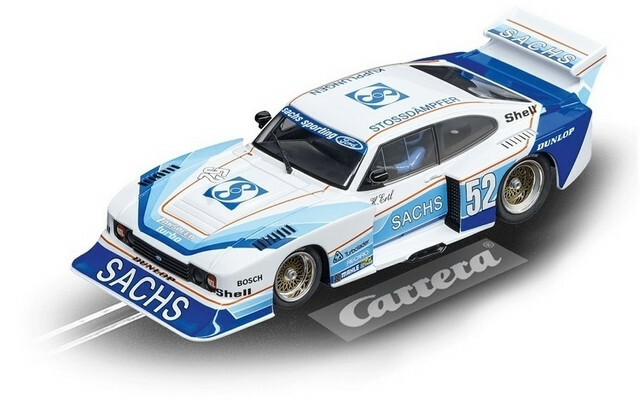 The racing Capri with the number 52 competed for the "Sachs Sporting" team at the Norisring in 1979. Harald Ertl, the driver, performed outstandingly and was right up at the front of the field.